The Women's National Team has officially named its 34 player roster to face No. 1 New Zealand, No. 2 England and No. 8 Ireland for the upcoming November Internationals 2018. After last taking the pitch for their fourth-place finish at Women's Rugby World Cup 2017, a new wave of players were selected from recent age-grade, senior high performance camp and Women's Premier League performances; bringing a diverse group of athletes for the upcoming November schedule. During the Fall tour, the Women's Selects will also play an "A" level match to be announced later. General Manager for Women's High Performance Emilie Bydwell said: "We are thrilled for the long anticipated return of the Women's 15s team to competition. Although the team has not assembled for matches in 14 months, there was significant work done in the background to ensure that we have the management staff, processes, players and competition structures in place to accelerate this program's development over the next three years. "Over the course of the summer we prioritized running six age-grade events and one senior team event in order to identify the next generation of players that will contribute to the program over the next three years. We understand that we will be playing the best two teams on flanking weekends with 21 new caps but firmly believe to achieve our goal of quarterfinal and semifinal victories at the 2021 World Cup, we need to expose our players to top early in the quad so we can set our program's Key Performance Indicators and development plans accordingly." Of the 34 named players, nine return from the aforementioned Women's Rugby World Cup, eleven have won a national club or college championship in the last 14 months and three are current Women's Junior All-Americans. 21 players have the opportunity to earn their first cap over the course of the tour. The diversity represented on the squad is a direct representation of the budding talent populating Women's Rugby across the nation. Overall, at least 15 players have at one point represented the USA Rugby All-American programs at the High School, Junior, or Collegiate levels. Among them, are 2018 Women's Junior All-Americans Tiana A'au, Emily Henrich and McKenna Strong who all competed at the recent U20 Women's Tri-Nations Cup. Henrich earned Man of the Match honors for her thrilling performance against Canada U20s and will be one of two 18-year olds hunting for her first cap, along with Eti Huangatau. Club XV National Champions (Life West Gladiatrix) Catherine Benson and Nikki Kenyon earn selections, along with 2017 Women's Premier League National Champions Alicia Washington and Misha Green. The collegiate game is strongly represented, as well, with D1 Elite Champions (Lindenwood) Mckenna Strong, McKenzie Hawkins, AK Pedroza and Joyce Taufa representing one of many institutions. Headlining the team as Captain is Kate Zackary, a Women's Rugby World Cup 2017 and Rugby World Cup Sevens 2018 athlete who owns six caps and has featured regularly on the World Rugby Women's Sevens Series. Zackary's experience will be complemented by teammates both from the sevens and fifteens side with Kathryn Augustyn, Jordan Gray, Kelsi Stockert, Kimber Rozier and Kristine Sommer -- to name a few. Club 7s National Champions Megan Foster and Meya Bizer also return to the Women's Natonal Team. Foster recently appeared with the Women's Falcons last month while Bizer comes back after last appearing at Women's Rugby World Cup 2014. Alongside a wealth of talent on the playing side, four Women's Eagle Alumni come back into the fold in supporting positions. 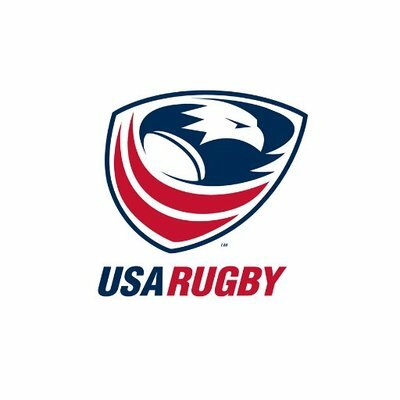 Jamie Burke -- USA's most capped Women's Eagle -- and Kate Daley, captain of the 2014 Women's World Cup team, will both serve as Assistant Coaches. As Coaches for the Glendale Merlins and Penn State University (7s and 15s), respectively, Burke and Daley both own multiple national championships. 2017 World Cup Captain Tiffany Faaee will also serve as a Player Mentor and support the team in a management capacity. Eagle Alumn Jenny Lui will also take on a role as a Player Mentor and Halfback Technical Coach. The coaching team also welcomes back longtime Women's Eagles Assistant Coach Richard Ashfield and Ian Jones, who was the member of the 2014 World Cup Management Team. Jones will serve as the Head of Physical Performance. Under the direction of new Head Coach Rob Cain, the Women's Eagles will open their November schedule against No. 1 New Zealand as part of The Rugby Weekend's triple-header on Nov. 3 at Chicago's Soldier Field. Tickets are available at therugbyweekend.com with the match streamed live on FloRugby.